Martin Scorsese did it again, his latest movie, The Departed was announced as the Best Picture in the Oscars at the 79th Academy Awards. The film also won other Oscars at the 79th Academy Awards for Best Director (Martin Scorsese), Best Film Editing (Thelma Schoonmaker), and Best Adapted Screenplay (William Monahan). 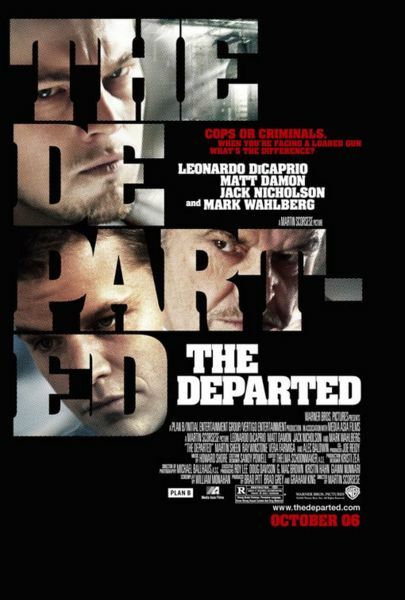 The Departed was starred by Leonardo DiCaprio, Matt Damon, Jack Nicholson, Mark Wahlberg, Martin Sheen, Alec Baldwin and Ray Winstone. It is actually a remake of the popular Hong Kong crime thriller, The Infernal Affairs by Andrew Lau and Siu Fai Mak. The film begins “some time ago” in South Boston, where the state police force is waging war on Irish-American organized crime. A powerful Irish mafia gang placed a small selection of his youngest, brightest men into the Massachusetts Police Academy as cadets. Their purpose is to eventually rise within the prestigious ranks of the city’s police department, to serve as the eyes and ears of their boss. While in another place, a young cadet was assigned with an equally dangerous task: infiltrate the Irish syndicate headed by the man. One cadet is an up and coming police official with a torn allegiance to his job and to the criminal mastermind that put him there. While the other cadet is the trusted number two of that man, only finding his professional duties are becoming blurred with his current state. Each man becomes deeply consumed by their double life, gathering information about the plans and counter-plans of the operations that the Irish mafia has penetrated. But new clues have lead to unfortunate discoveries, when both sides realize they’re being watched by the enemy. It’s now just a matter of time before the men assigned to find out whose the infiltrator, could come to a bloody end when someone’s identity may be revealed. When the movie was released in 2006, it opened at #1 at the U.S. box office with a gross of US$26,887,467. It entered at #2 in the UK (behind The Devil Wears Prada), but took the top spot the following week and held onto it for a further week. As of February 22, 2007, the movie has grossed $131,591,084 domestically and $278,291,084 worldwide, making it the highest grossing Scorsese picture to date. This entry was posted on Monday, February 26th, 2007 at 4:08 pm	and is filed under Celebrity News, Movie Trailer. You can leave a response, or trackback from your own site.